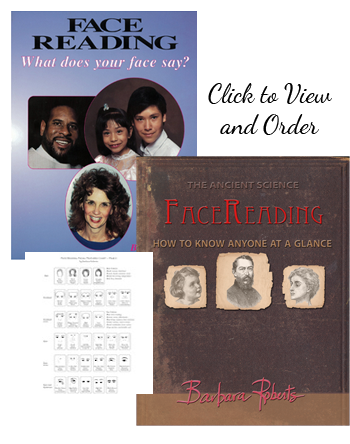 Face Reading is an ancient spiritual-psychological system of understanding a person’s character from his or her facial features. Every facial feature has corresponding psychological meanings, and your face is a physical-emotional map of who you are and where you are going. Barbara was a Guest on 75 national and local TV/radio shows (TYRA, Hallmark, NBC News, The Learning Channel, and InSide San Diego). 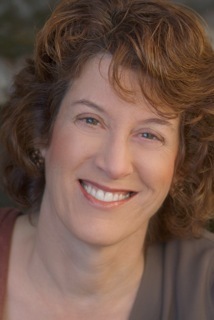 Trained in clinical medical NIH-research (UCSD), she developed her system of personality patterns by looking at 10,000 people’s faces in private sessions and her 500 classes. Her youtube.com videos have 3/4 of a million viewers. Barbara’s system is unique in that it honors all ethnic groups, ages, and genders. Over 250+ Facial Features and their psychological meanings. Manager? How to select people of destiny.